VERY private and tranquil setting! 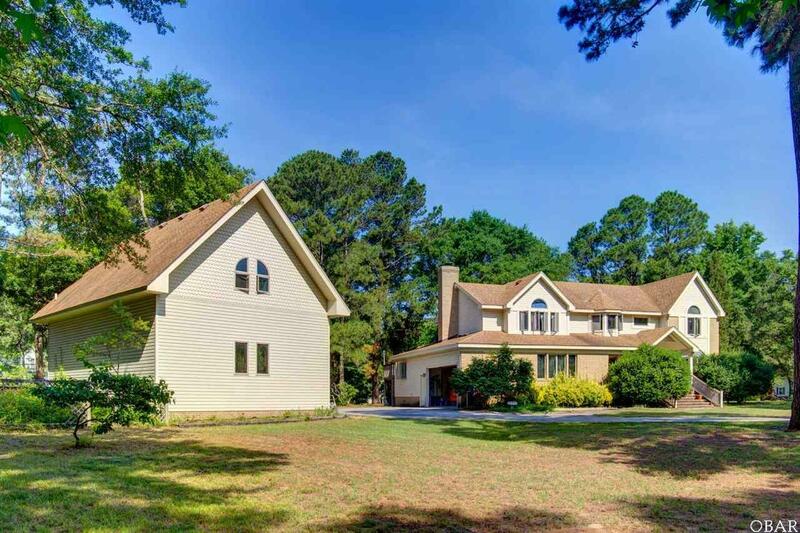 3200+ Square foot home on two oversized lots (approx 1.5 acres total) with navigable canals on two sidesabout 250 feet on one canal and 225 ft on the other. Home has lots of space inside and out. Elevator from garage to top floor. Most of the doors are 36 solid wood doors. Large permanent residence, well built by Bob Sykes. Eat-in kitchen, living room and stone fireplace, dining room, den, office, on first floor. 4 nice sized bedrooms and 2 full baths on the second floor. The master bedroom is large and uniquely planned with a sitting area, sun deck facing canal and master bath. The 3 other bedrooms share a conveniently located hall bathroom. Screened in Porch and 2 sun decks. Low maintenance exterior siding...brick and vinyl. This home is loaded with space and potential. Storage is not a problem. In addition to 2 car attached garage, there's a separate large, 2 story garage/workshop. On a quiet street not far from the BEACH! A bike rideable distance to the beach, shopping, groceries and other services . This home has tons of potential. The possibilities are unlimited with the size of the home, the location, and the floor plan. Southern Shores Civic Association is voluntary for $55/year. Amenities listed are only available if you join. Numerous beach accesses and parking, sound side beach, boat ramp and docks, parks, playground, and tennis for a little extra. Learn more here: http://www.sscaobx.org/ Septic permit is approved for a four bedroom home. Half bath in workshop was never completed...not hooked up to septic. Home is sold as is. New roof in 2007. Listing courtesy of Mercedes Tabano of Resort Realty - Duck.